RE: ONE YEAR UNTIL THE 2015 I.W.K.A WORLD CHAMPIONSHIPS – Thursday, August 6th, Friday, August 7th and Saturday, August 8th, 2015 at the Westin Princeton @ Forrestal Village – Princeton, NJ. It is hard to believe that there is just one year to finalize plans for the 2015 I.W.K.A World Championship Even, WHICH IS OPEN TO ALL ISSHIN-RYU SENSEI AND STUDENTS. Registrations and Sponsorships are coming in daily. Remember the sooner a person registers, the later the person competes in Kata. The most reasonable price cut-off date is December 5, 2014. Register by then and SAVE. • If you or a friend would like to help sponsor the event, forms are attached – Forms must be received no later than June 25, 2015. Sponsor early and receive notice on the tournament web site. • If you or a friend has a favorite recipe or two, As a fundraiser we are going to create a cookbook with favorite recipes of family, friends and Isshin-ryu Karate Practitioners. (“KICKIN’ CUSINE”) If you would like your favorite recipe included, please e.mail it to me by Friday, November 28, 2014. The cost of the book will be $10.00. You may pre-order also by email to make sure you receive one. Please Remember – all registrations must be completed and postmarked on or before the deadline – June 26, 2015. After that date students may not be able to register. It is the chief instructor of each school’s responsibility to make sure that all Black Belts and students know and understand the 2015 I.W.K.A. rules and regulations. Senseis: If you would like your school to be a part of the Thursday evening “Group Kata Demonstration” starting at 7:45 P.M. – please email me at verticlefist9@gmail.com by Friday, February 27, 2015. A dojo’s singular demonstration may last no longer than five (5) minutes. 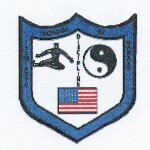 6:00 P.M. – 7:30 P.M. – – Self Defense and Naihanchi Kata Seminar in the Forrestal Ballroom – with Master Duessel, 10th Dan, assisted by Master Wallace, 9th Dan, Hanshi=s most senior student. 7:45 P.M. – 8:15 P.M. – Isshin-ryu Dojo Group Kata Demonstrations. Gathering for kyu ranks – by pool – – Black belts will join this gathering after their meeting. 6:30 A.M. – 11:00 A.M. – – Breakfast buffet in the Restaurant and overflow seating in the Nassau Room – – Ample staff will be on hand to help you make it to the tournament on time – – but arrive in a timely manner to help them help us. IF YOU ARE AN IWKA SENSEI OF A DOJO, OR AN IWKA REGISTERED 5th DAN OR ABOVE, AND WOULD LIKE TO BE A PART OF THE BANQUET’S VISION QUEST – – PLEASE SEND OR E-MAIL THE FOLLOWING INFORMATION TO ME – & INCLUDE A PICTURE OR DIGITAL IMAGE OF YOUR DOJO OR A TRAINING SESSION. (There is a link for this information on our web page as well).